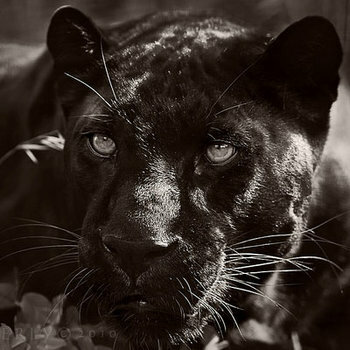 She was a shapeshifter: sometimes Jaguar Woman, sometimes fully jaguar—sometimes melanistic, sometimes golden and rosetted—usually female, but sometimes male. She smiled at me, indulgent, amused, lazily protective, as I in my youthful blundering looked to her as a guide and teacher. She led me through jungle, through journey, into the Underworld and back out again. I called her Soul, because there was no better word that fit her. She was one of my first and only personal allies, and the only who was more than the archetype and epitome of their species. She introduced me to shapeshifting, which was already my nature and then became my skill; she tolerated my inconsistent visits and humored me when I needed the reassurance. Her love was fierce, but she did not hold tightly—she accepted my company when I was there, but did not pull at me when I wasn’t. This is feline nature, I’ve found, and it is reflected in other feline entities I’ve encountered since. When I broke, she found the pieces and brought them together again in me. I sang her a song for it, and years later, after I had stopped visiting the Otherworld, writing a song from what I imagined as her point of view was the first “real” song I would create, and the one that would break the dam that had kept me from creating my own music. I imagine she’s still in her jungle, as flawless and richly-textured as she was a decade ago when I last saw her. Though there is no rhyme or litany I could sing her that would reach her without my delivering it in metaphysical person, unlike my Kemetic gods, I still have the urge to lay out offerings of honey and milk and berries in gratitude for all that she taught a much younger me. Last year’s first J post was on journeying.